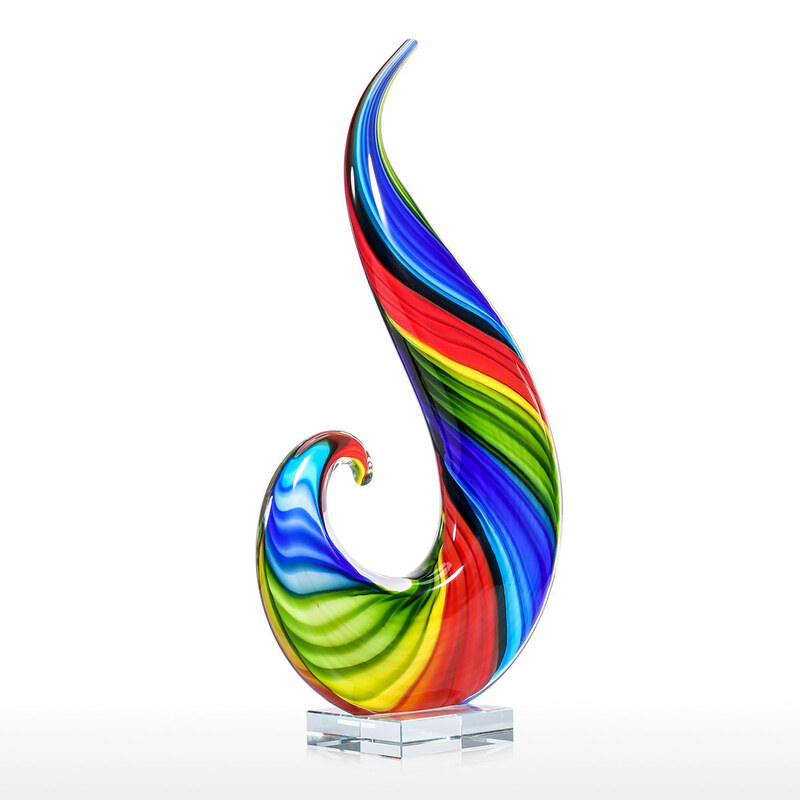 The abstract sculpture has both the beauty of lines and the beauty of rhythm, charmingly beautiful. 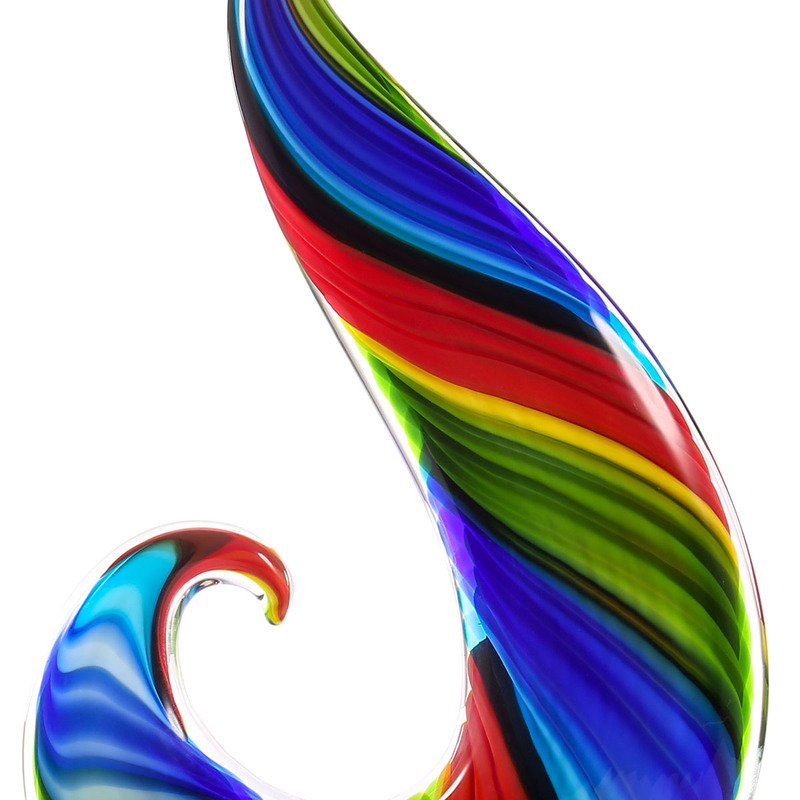 The abstract glass sculpture is colorful, which seems like the rainbow. 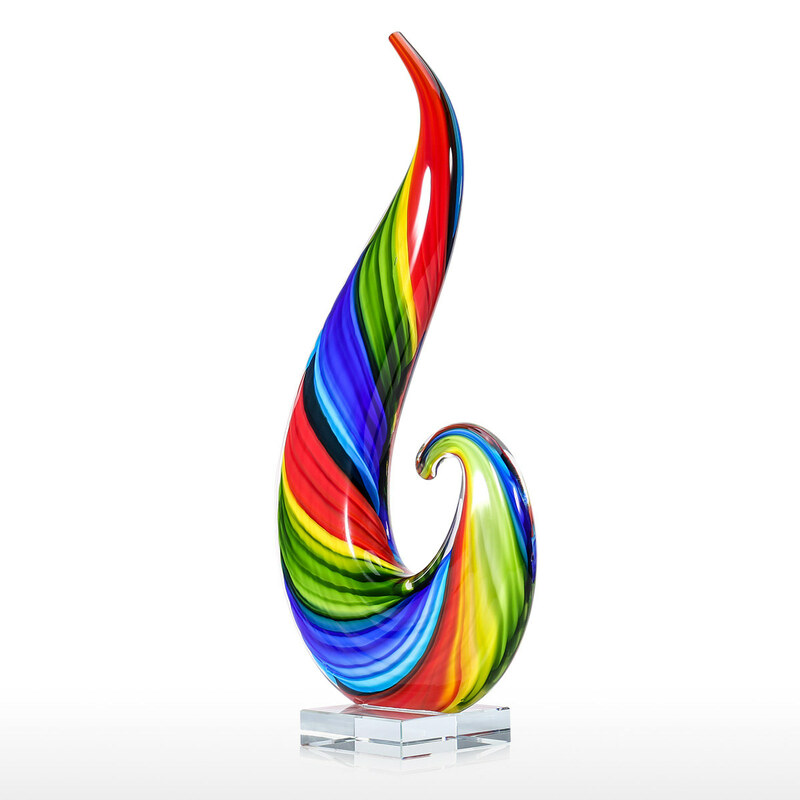 It adds the perfect amount of color and whimsy. 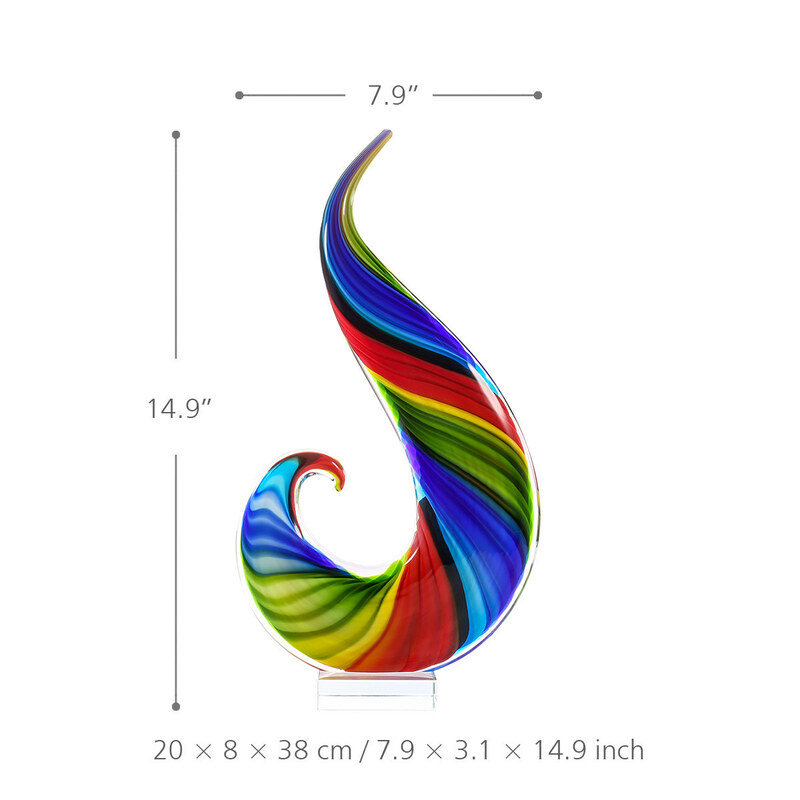 Every craft is a purely handmade artwork, and each sculpture may have slightly differences in shape and weight. 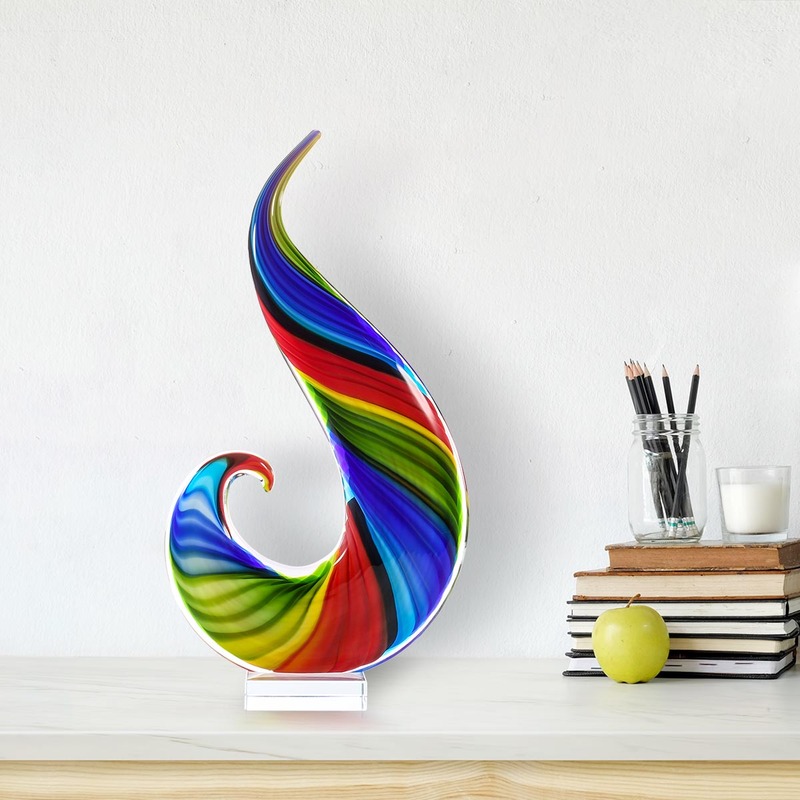 The abstract glass sculpture can be regarded as a perfect decoration gift, and it adds an elegant touch to the home or office. 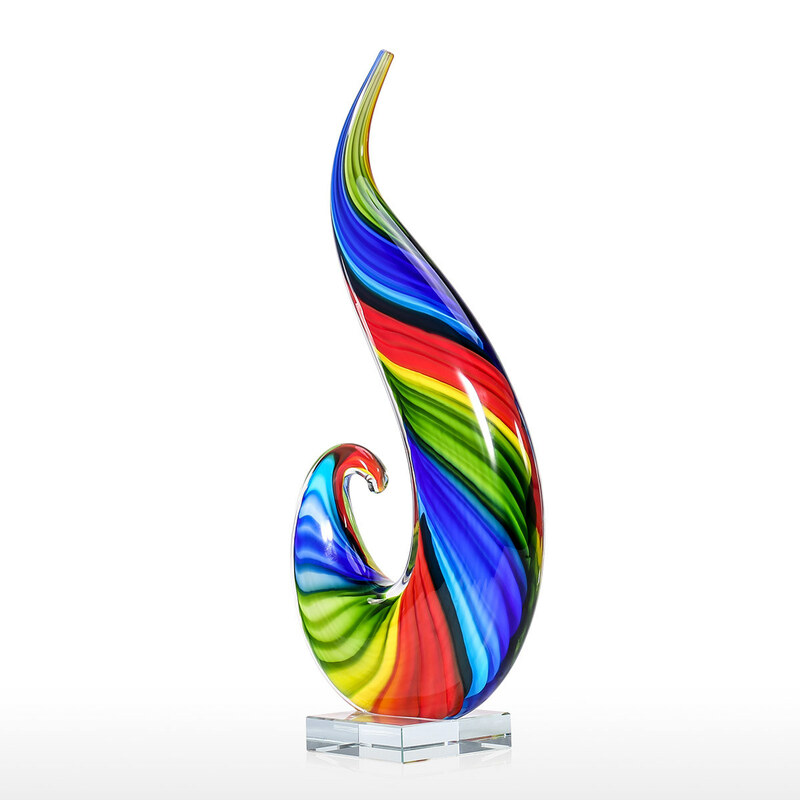 A great gift for family or friends who love to decorate their home. 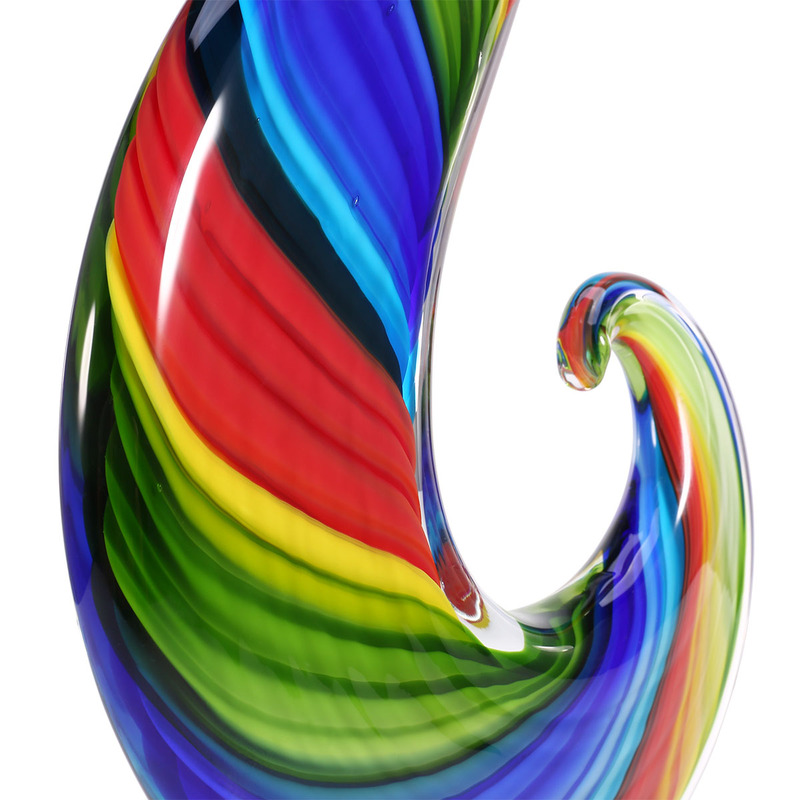 Abstract sculpture: The abstract sculpture has both the beauty of lines and the beauty of rhythm, charmingly beautiful. 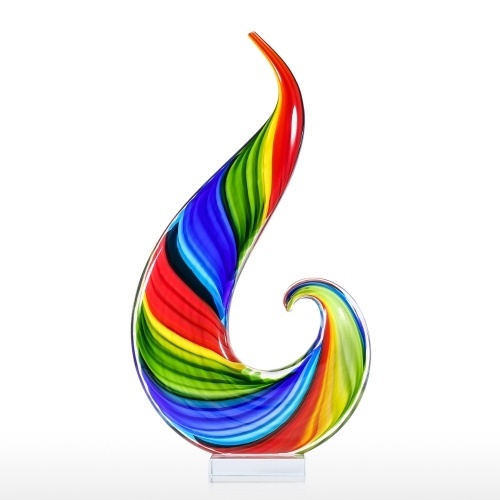 Bright color: The abstract glass sculpture is colorful, which seems like the rainbow. 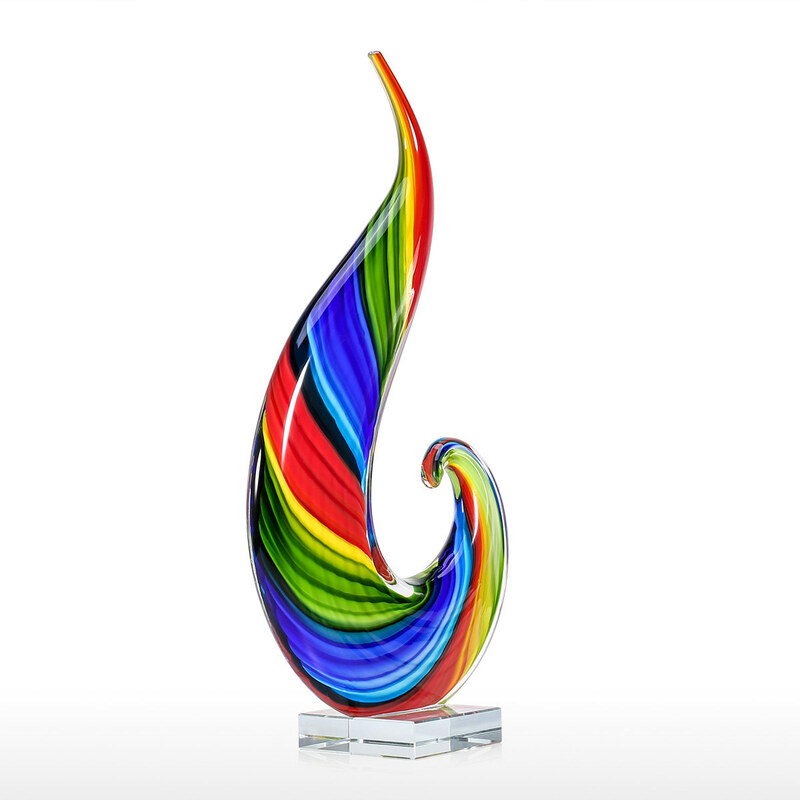 It adds the perfect amount of color and whimsy. 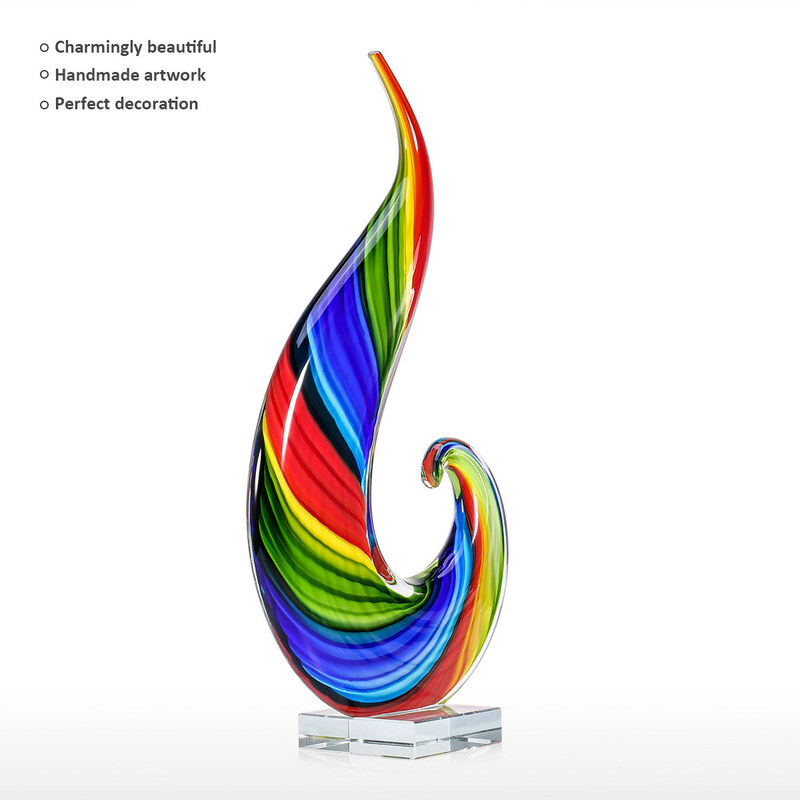 Handmade artwork: Every craft is a purely handmade artwork, and each sculpture may have slightly differences in shape and weight. 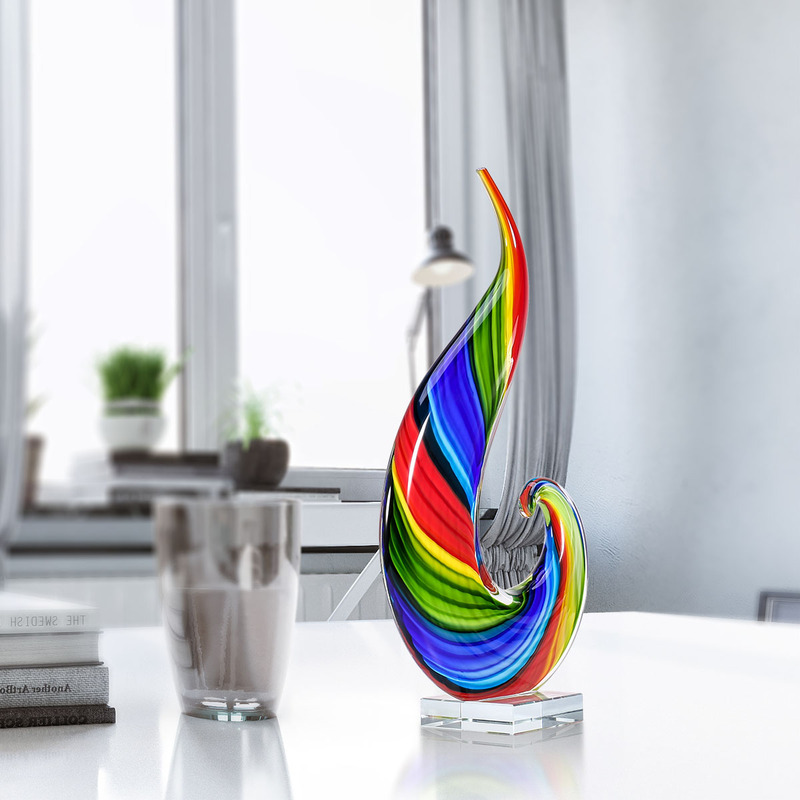 Decoration gift: The abstract glass sculpture can be regarded as a perfect decoration gift, and it adds an elegant touch to the home or office. Ideal gift: A great gift for family or friends who love to decorate their home. Beautiful glass object, FAST shipment. Arrived safely.